The Nashik division of Maharashtra State Road Transport Corporation (MSRTC) has got two Shivshahi sleeper coaches that will run on Nashik and Nagpur route. “The buses arrived in Nashik on May 1 and are shortly to be deployed on the Nashik-Nagpur route via Jalgaon. Nashik and Nagpur are two big cities of Maharashtra even though currently there is no direct bus for Nagpur. As the distance between Nashik to Nagpur is so long so it’s not convenient for a driver to drive up to Nagpur. There will be one or two stops where they will change bus, maybe at jalgaon or Akola. Since the journey mostly during night shift so it’s better to change driver, to ensure passengers safety. MSRTC cannot allow them to drive for longer distances hence three staff will drive the bus during the journey in each direction. On April 7 the operation of 30-seat Shivshahi sleeper class buses was launched in Maharashtra by the MSRTC. For Nashik division, a total fleet of at least 10 buses are expected in the near future. The tickets for the sleeper class buses would cost around Rs 1,500. “The bus service will however be assured and safe when compared to the private buses. The costing comes into considering the cost of the staff, paid as per the government norms, and fittings and maintenance charges for the bus that all buses are tested and passed various standards and conditions. nashik to nagpur bus time table is expected to start at 6.30 pm from Nashik bus depot and likely to take 13 hours of travel time to reach Nagpur city. The Shivshahi bus will halt at Malegaon, Dhule, Jalgaon, Khamgaon, Akola and Amravati between Nashik and Nagpur. Nashik to Nagpur a bit busiest route but buses on this route are very few so passengers have to choose private buses or train. Many passengers choose bus travelling instead of Train because of comfort. There are many private buses also playing big role on this route but passengers always choose MSRTC buses for safety and timely travelling. Background of starting shivshahi bus on nashik to nagpur route. Nagpur is the sub capital of Maharashtra state, which is also know as the centre point of INDIA. Nashik is the holy place , cultural city , lord ram spend most of time in the city during their Vanavasa. To connect these important cities of India with semi luxury air conditioned state transport buses. 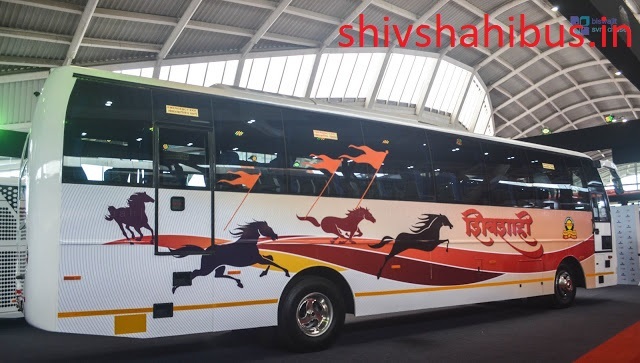 MSRTC took a bold step to launch new feet of semi luxury buses with new brand name “Shivshahi bus”. 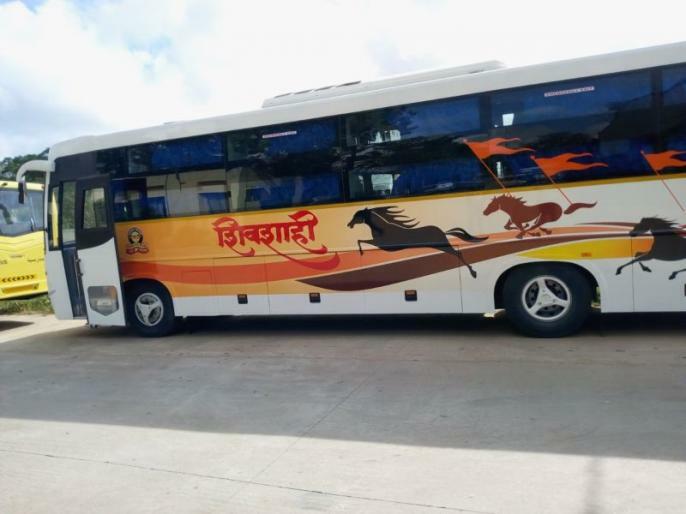 Shivshahi bus became very popular among the passengers because of its economical fare ticket comparing to private travelling buses with same features. Private buses on Nashik to Nagpur route were playing their good role as there no competition from Parivahan buses. Parivahan buses are the most economical mode of public transport in maharahstra state. Parivahan buses also known as “Lal dabba”. what was the need of Shivshahi bus on nashik to nagpur route? As you know Nashik and Nagpur are going to be “Smart city” very soon. This will be the best reason for them who ask above question. Because when we look at smart cities then public transport within the cities must be smart enough to suite with cities status.